Taking Highway 228 and riding a mile to the west of Crawfordsville or about 6 miles to the east of Brownsville, you will find the McKercher County Park. 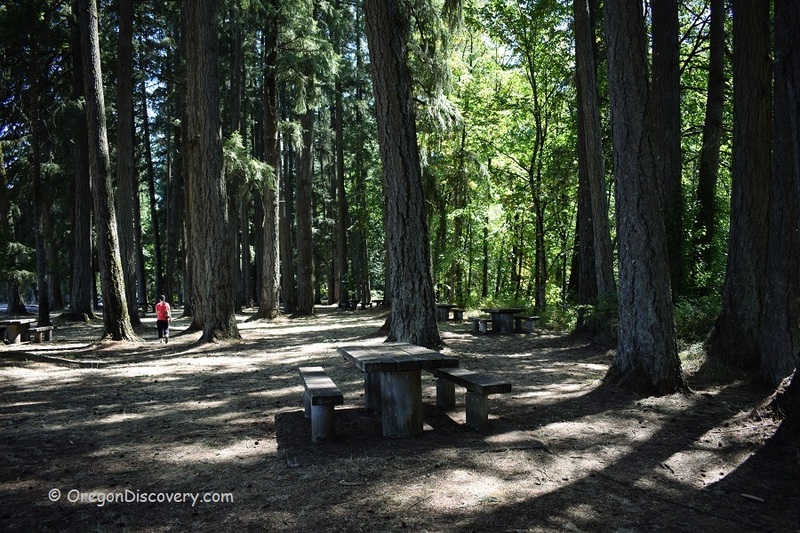 The park is good for picnics in green scenery under the calming shade of a white fir and Douglas tree canopies. However, what the park is most esteemed for are swimming holes that punctuate the Calapooia River, and which hosts one of the most acclaimed swimming holes near Eugene. Tourists and local residents concur that the McKercher Park is primarily the land of picnics and swimming. The park provides a series of swimming holes some shallow enough for the children and some extremely deep and ideal for the adults. Here is the home of outdoor river recreation on the overdrive as the Calapooia River majestically flows at the heart of Brownsville near the South Santiam River. The park provides adequate and reliable parking. Fishing is available as well. The McKercher Park scenery is picturesque with numbers of channels and little pools in the rocky terrain. The park features a small waterfall and a sandy gravel beach along the big wading and swimming area, located downstream. 51 miles northeast of Eugene. Turn onto Highway 228 East and drive 9.8 miles to the McKercher Park on the right.